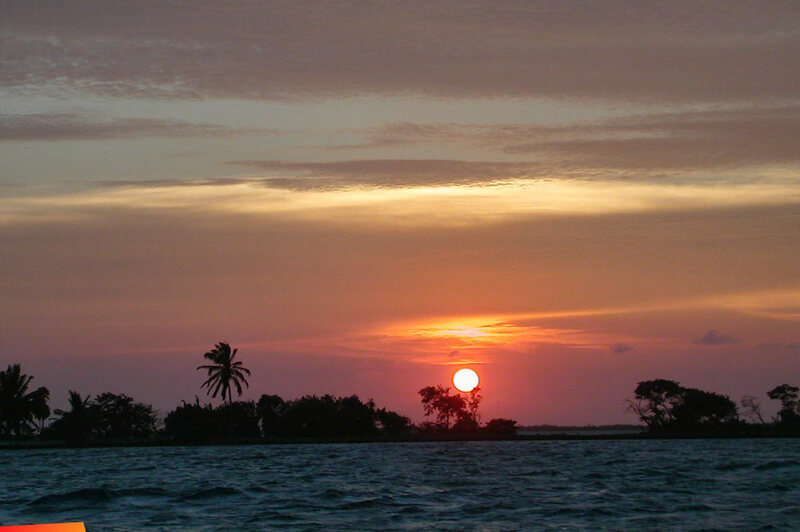 The sunset (unfortunately crooked) was off of Blackbird Caye where I was helping Oceanic Society and Thomas Rainwater (the biologist) hunt for crocodiles (all in the name of science, of course). Miss Rose would make us an incredible dinner each night and we would go out right at sunset and eat on the boat each night before looking for the crocs. It was some of the best times I've ever had in Belize. So simple, yet so special. Every night was something new. That particular night was our last night for hunting before going home. I took at least 30 pictures of the sunset because it kept changing each minute and it seemed like it couldn't get any better. We ended up catching an 8' croc that night and celebrated back on the island with some one barrel! !